With every treatment out there, of course, there are side effects. 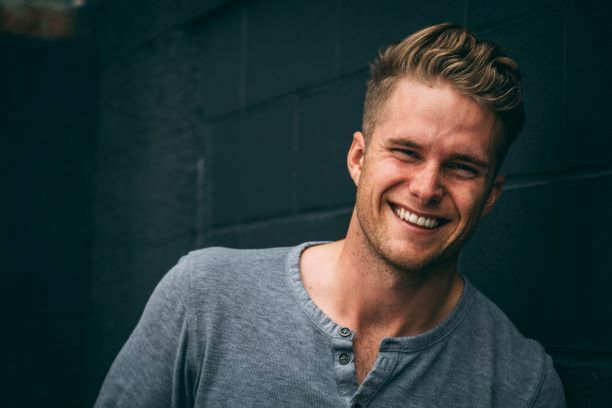 Unfortunately, most of our patients at Old Milton Dental don’t know about the various side effects of over the counter teeth whitening products like whitening strips. Before you head to the store or online to buy some random tooth whitening kit, please educate yourself about the potential side effects of tooth whitening kits not from your Alpharetta tooth whitening dentist. One of the top side effects of over the counter whitening products is tooth sensitivity. This is generally caused by incorrect use of the products. Tooth sensitivity can occur if you have overly sensitive teeth, you leave the product on too long, or you apply it incorrectly. While some patients may only experience mild tooth sensitivity, others may experience a more severe side effect. The more severe side effects tend to happen with fast result whitening kits because these use a higher bleaching agent than your typical whitening strip. The whitening strips you leave on for long periods of time also tend to cause more tooth sensitivity. Your teeth may become sensitive from using over the counter tooth whitening kits because your dentin layer is exposed during the whitening process. If you are prone to tooth sensitivity, we recommend that you use a kit that your tooth whitening dentist recommends for you. Your dentist will know which products cause the most sensitivity and which ones don’t. One way to combat tooth sensitivity with tooth whitening in Alpharetta is by using sensitivity toothpaste. Using this daily can help prevent sensitivity while you whiten your teeth. Another major side effect of over the counter whitening kits is gum irritation. Unfortunately, this is entirely due to misuse of the whitening products. It also has a lot to do with whitening strips or mouth trays not being custom made to fit your mouth exactly. When you use a mouth tray, whitening strips or other whitening product and the whitening solution gets on your gums, this can cause a lot of gum irritation. It may even feel like your gums are burning. It’s possible that your gums even turn white after becoming exposed to the whitening solution. If you continue to expose your gums to your whitening product, this can cause bleeding or severe pain. If you find that you use any whitening solution and it causes gum irritation, stop using it. You don’t want to experience severe gum pain. Another major potential side effect of over the counter whitening products is that you achieve undesirable results. In other words, your overall results don’t look like what you had hoped for. Your teeth can be unevenly whitened which is quite common with over the counter whitening products. Your teeth can also result in a shade that is hardly different from your starting color. This means that all the money and time you spent whitening your teeth was for nothing. Some patients need a stronger bleaching concentration in order to achieve their desired results. Unfortunately, there is no guarantee with over the counter whitening products. Another major side effect of over the counter teeth whitening treatments is an erosion of your enamel. Before we tell you more about that side effect, we find that it’s important to explain to you what your enamel is. Your enamel is the top layer of your tooth that protects against cavities and bacteria. Without this protective layer, your teeth can be weaker and have a higher risk of developing cavities and tooth decay. When you misuse a whitening product or use one that is not given to you by your dentist, you raise the risk of damaging your enamel. Enamel erosion is a common side effect of over the counter tooth whitening products. 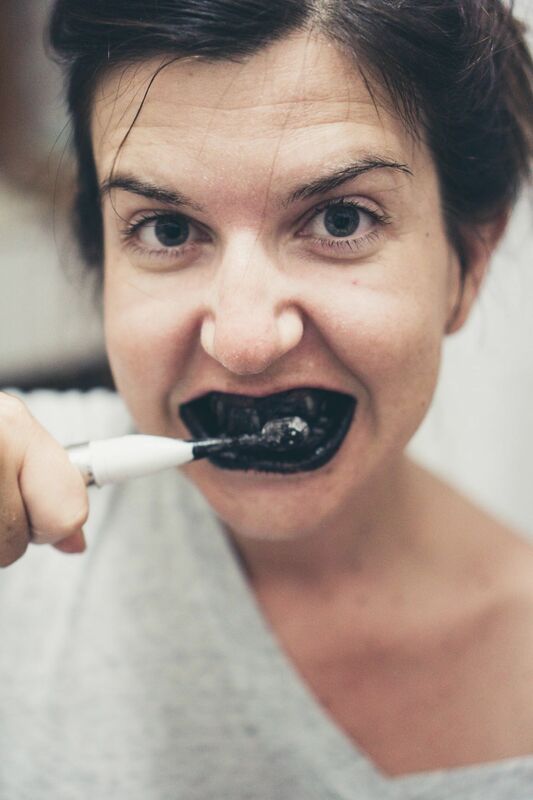 If you use a charcoal whitening kit that tells you to brush your teeth with activated charcoal, this can actually damage your enamel because activated charcoal is coarse and will scrape off your enamel. Other whitening kits can damage your enamel if their strength is too high or you leave the bleach on for too long. Is whitening your teeth really worth damaging your teeth over? No. Visit your dentist to ensure that you don’t damage your teeth. At Old Milton Dental in Alpharetta, we highly recommend that our patients visit us for their tooth whitening needs. This is because when you whiten with you, you face less side effects. To start, you reduce your risk of developing sensitive teeth. Let our dentist know that you are prone to tooth sensitivity with teeth whitening and we will recommend the best tooth whitening product for you. In addition, we will prescribe tooth sensitivity toothpaste to help prevent sensitivity from occurring. When you use a professional teeth whitening treatment, you won’t face the risk that your smile will have undesirable results. This is because our dentist is supervising your treatment. Not to mention, we give you custom-made tooth whitening trays so that no bleach solution finds its way to your gums. You can expect to receive beautiful, even and white teeth without the bad side effects. Our dentist will ask you up front what color you want your teeth to be. With this color in mind, we will design the right tooth whitening treatment to achieve these goals. Lastly, since we use only professional products, you don’t have to worry about damaging your enamel. We will make sure your teeth are just as healthy after your treatment as they were before. If you want to steer clear of over the counter tooth whitening products, visit our dentist in Alpharetta for professional teeth whitening treatment. Give us a call or fill out our contact form to schedule an appointment today. How do you feel about your smile? 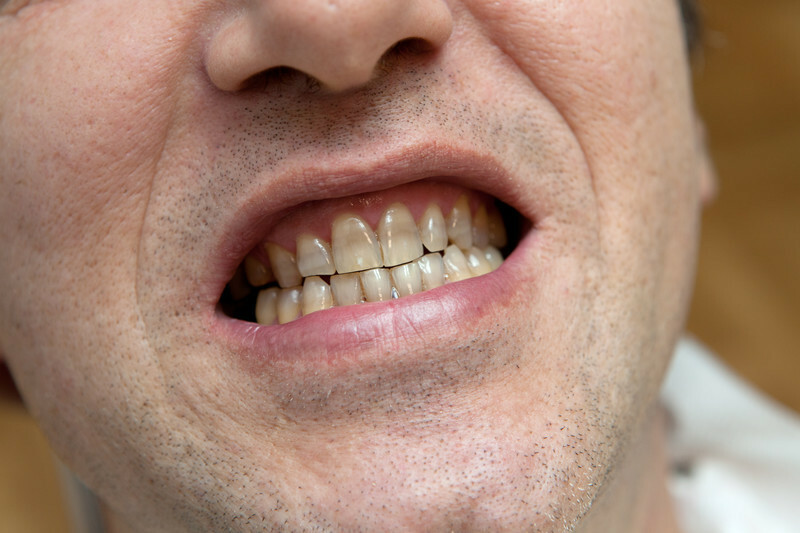 Do you like showing your teeth off or do you think you could benefit from some improvement? If you are unhappy with your smile, it might be reason enough to visit your cosmetic dentist in Alpharetta. Discover if our cosmetic dentistry treatments at Old Milton Dental sound appealing to you and your smile. Cosmetic dentistry is an option for all of our patients. Find out if it’s right for you. The first reason you should visit your cosmetic dentist in Alpharetta is if you are unhappy with your smile. This means that you hide your teeth behind your hands or do everything possible not to show your teeth in pictures. 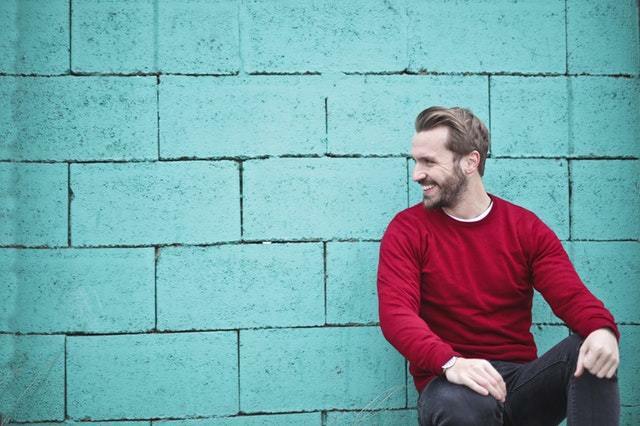 If you feel at all embarrassed of your current smile, cosmetic dentistry might be a good idea. We want our patients to feel good about their smile and if this can be helped with one of our treatments, we are happy to help! Don’t go through life living with a smile you hate. We have plenty of cosmetic dentistry options available to help you achieve your smile goals. Another reason you should visit your cosmetic dentist in Alpharetta is that your smile is healthy. Having a healthy smile is a requirement for any cosmetic dentistry work you want to have done. Therefore, if your smile is already healthy, you have met the minimum requirement. We can examine your current smile and suggest the best cosmetic dentistry treatments to help you achieve your goals and resolve your problems. If your smile is not healthy, don’t worry. We can start by treating all of your dental problems before starting on the cosmetic treatments. Don’t let any dental problems you have to get in the way of pursuing a better-looking smile. We have all of the treatment options available to you. Another reason you should visit your cosmetic dentist in Alpharetta is that you have yellow or stained teeth. Staining and yellowing are a normal part of aging and unfortunately can only be resolved with teeth whitening or other cosmetic treatments. You can use whitening toothpaste at home to help remove some of the surface stains but if the stains are deep, only a dentist can help. 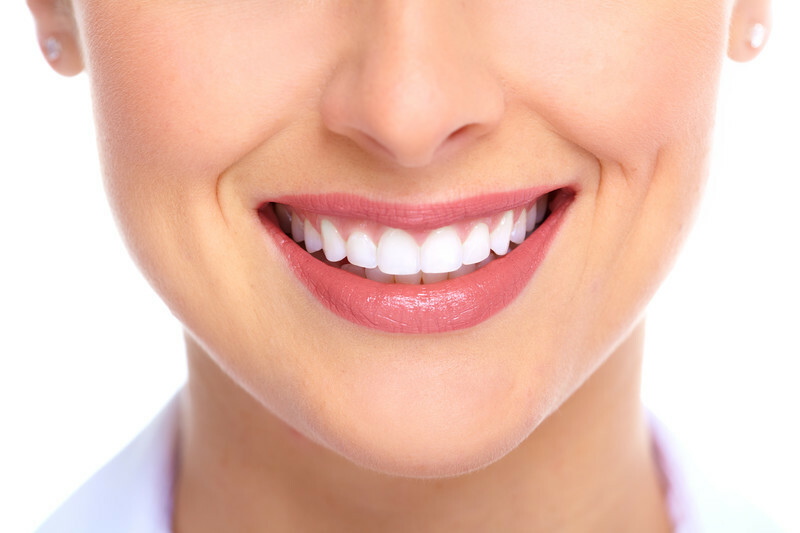 If you want a whiter smile, we can provide you with a professional teeth whitening treatment. This treatment can brighten your smile up to 8 shades with a simple treatment that can be completed in our office or in the comfort of your home. If you don’t want to return to our office all the time for a teeth whitening treatment, porcelain veneers might be a better option for you. Veneers do not stain so you can have a white smile for up to ten years before you need to replace the veneers. Whichever option you prefer, our dentist can provide you with a whiter smile. If you’re looking for another reason to visit our cosmetic dentist in Alpharetta, you might have gapped teeth. Gapped teeth can actually be resolved with a number of different treatments. The most obvious treatment is orthodontic treatment. We offer Invisalign clear braces at our dental office which consists of wearing clear aligners for anywhere from 6 months to 2 years to straighten your smile and close up any gaps you have. If you would prefer a quicker turnaround, we can fill in the gaps using dental bonding or porcelain veneers. These options don’t correct the problem, they merely mask it. You will also need to replace bonding every few years and veneers every 10 years. On the subject of orthodontics, we can also help perfect your teeth if they are misaligned. Depending on how misaligned they are, we can make your teeth look straight by using an Invisalign treatment or by taking the veneers or bonding route. This is entirely up to you. We only recommend veneers or bonding if your teeth are not suffering from the lack of proper alignment that orthodontics can bring you. For long-term results, opt for the Invisalign treatment. Chips and cracks can happen to your teeth at any moment, fixing them is actually a quick process. You should visit our cosmetic dentist in Alpharetta if you are tired of looking at your chips or cracks in your teeth every day. We can resolve these problems by using either dental bonding, veneers, or dental crowns. Bonding must be replaced every few years while veneers can last for up to 10 years. A dental crown, on the other hand, will last you for the rest of your life. This decision will depend on how much you want to spend and how strong you want your restoration to be. If your teeth are not symmetrical, don’t worry, our cosmetic dentist can fix this. Using dental bonding, veneers or simply by filing down some of your teeth, we can make your smile look symmetrical and perfect. Our dentist will recommend the best solution for your smile during a consultation. The last reason you should visit our cosmetic dentist in Alpharetta is that you have metal fillings. Metal fillings can be unsightly and not the best solution for your teeth. We can replace your metal restorations with beautiful tooth-colored fillings that match your surrounding teeth. Tooth colored restorations look great and are stronger than metal fillings. You also don’t have to worry about mercury poisoning. Visit our dentist today to learn more. If you’re ready to have a smile to be proud of, visit our cosmetic dentist in Alpharetta to learn which cosmetic dentistry treatments can benefit your smile. Schedule a consultation with our dentist by giving us a call or filling out our online form. We look forward to giving you a smile you love. When it comes to replacing your missing teeth, unfortunately not every dental procedure is perfect for every patient. When it comes to replacing your missing teeth, you have a few different options. The most popular seem to be dental implants, dental bridges, and full or partial dentures. If you want the best treatment, our dentist usually recommends dental implants. Unfortunately, dental implants have certain requirements that not every patient can meet. Discover if dental implants at Old Milton Dental are right for you. Read through the disadvantages of dental implants to discover if they are your ideal treatment option. The first and most major disadvantage of dental implants is that they are costly. We won’t lie to you and tell you that they are the most affordable option because they are most definitely not. A full mouth of dental implants can cost you tens of thousands of dollars while a single implant can cost a few thousand. To find out how much dental implants will cost for you, please schedule a consultation with our dentist in Alpharetta to find out how much your dental implants treatment will cost you. They might be more or less affordable than you think. Also please consider the different payment options we have available at our dental office. You might be able to make monthly payments that fit inside your budget. Another disadvantage of dental implants is that your dental insurance will most likely not cover them. If anything, they might help cover the restoration that will be attached to the dental implant like the dental crown, dental bridge, partial or full denture. Of course, you can call your dental insurance prior to a consultation with us to see if these are things they might consider to cover. You never know what your insurance is willing to cover. During your consultation, we will go over the complete costs for your treatment with us. Another major disadvantage of dental implants is that they require surgery to be placed. You might think this is a big deal but surgery is always a health risk. The complication rate is just an average 5 to 10%. The risks and complications you are taking for dental implants include infection, damage to other teeth, delayed bone healing, nerve damage, prolonged bleeding, jaw fractures and more. If you are willing to take these risks, dental implants might be right for you. Although dental implants can last you for life, the restorations that you attach to them may not. Another disadvantage of dental implants is that you may need to replace your restorations down the line which can be quite costly. For example, a single dental crown can cost around $1,000. If you have multiple in your mouth, that can really add up. Dental bridges and dentures are less costly, but still, add up over time. Most patients who need to replace their restorations are ones who did not take care of them in the first place. Dental crowns and dental bridges are made of porcelain which can typically last you for the rest of your life with proper care. This means that you brush and floss regularly and avoid doing any physical damage to your teeth. This means wearing a night guard and a mouth guard when it is deemed necessary. Another factor that you might want to consider before opting for dental implants is this one major disadvantage. Although dental implants can help you maintain bone mass in your jaw, it is still common to lose bone around your implants. This is from normal bone loss over years. If you lose too much bone, you may need to have your dental implant replaced. This is why it’s important to have your dental implants placed by a skilled dentist like ours at Old Milton Dental. We take our time planning your dental implant surgery to ensure your implant is placed in the best spot possible for long-term results. If you are looking for instant results for your missing teeth, dental implants aren’t going to be your solution. A major disadvantage of dental implants is that they take a long time to heal. To start, our dentist must first ensure you have enough bone mass in your jaw to have the implants placed in the first place. If you don’t, we need to give you a bone graft surgery. If you need any teeth extracted, that will also need to be done in advance. We can’t place your dental implants until your gums have healed from extractions and bone grafts. From there, we will surgically insert your dental implants. Once your surgery is complete, we must then let your gums heal once again. This is where your gums begin to grow bone around the implants. The healing process can take anywhere from 3 to 18 months to heal. It’s not until your gums have healed from surgery that we can take impressions of your gums and create your permanent tooth restorations. When those return from the lab, we can finally place them in your mouth to hopefully last you the rest of your life. If you don’t have patience, dental implants probably aren’t the right dental treatment for you. Every patient who receives dental implants risks the chance that their dental implants will fail. Typically the fail rate is only about 10%. We only give dental implants to patients who we believe will not have failing implants. If you do choose to have dental implant surgery, it’s important to get them from a highly skilled and trained dentist for smaller fail risks. Whether this blog helped you to decide to receive dental implants or to opt for a different tooth replacement procedure, our dentist is here to sit with you during a consultation to see what’s right for you. Give us a call or fill out our contact form to schedule an appointment for dental implants in Alpharetta today. What Type of Dental Implants are Right for Me? When you lose a tooth due to an infection or old age, it can feel like a big disappointment or hole in your life. Learning to chew without that tooth or several teeth can feel unnatural and even take a stab at your self-confidence. You shouldn’t have to live without teeth. There are some patients out there who are living with dentures but are unhappy with how insecure they feel or live in a constant state of worry that they will fall out at the wrong times. All of these different problems can be resolved with dental implants from Old Milton Dental. Discover if dental implants in Alpharetta are the right solution for you. If you aren’t too sure just what dental implants are, they are essentially false tooth roots. When you lose a tooth, you no longer have a tooth root in your jaw to hold a tooth in place. In order to replace these missing tooth roots, you can receive a dental implant. The dental implant is surgically inserted into your jaw to act as a tooth root, securing your restoration in place. Most patients prefer dental implants over an unsecured restoration because it feels more natural. With your dental implant, you can expect to retain bone density in your jaw which will help keep your other teeth in place as well as help you maintain a youthful appearance in your face. As long as you are healthy, have enough bone density and are free of diseases or disorders that interfere with the healing process, you are most likely a good candidate for dental implants in Alpharetta. Before we can give you dental implants, we need to know how many teeth you are missing so that we can determine which restoration is best for your mouth. If you need to have some teeth extracted, we need to complete these and allow your gums to heal before we move forward with your dental implants surgery. If you are only missing a single tooth, a dental crown can replace that missing tooth. If you are missing a section of teeth, we can use a dental bridge or a partial denture to replace your teeth. Lastly, if you are missing a complete jaw of teeth, we can use implant supported dentures or all-on-4 dentures. Regardless of how many teeth you are missing, there is a dental implants solution for you. During your consultation for dental implants with our dentist in Alpharetta, we will first verify that you are indeed a good candidate for dental implants. We will also determine if we need to complete any extractions or dental work prior to your appointment. If you need a bone graft, this will also need to be completed before your procedure. We can then discuss which restoration is right for you and begin planning your surgery. If you would prefer to be less conscious for your procedure, please let us know so we can provide you with sedation dentistry to make you feel more comfortable. One of the most common types of dental implants used to replace missing teeth are dental crowns. Dental crowns are essentially fake teeth that are made of porcelain. Our dentist can actually have these made in our office using our CEREC machine. The dental crown is shaped to complement your surrounding teeth. In addition, we pick the correct color to match your smile. Dental crowns are made of a strong porcelain that you can expect to last for the rest of your life. To protect your dental crown from damage after it’s attached to your dental implant, we recommend caring for it as though it were a real tooth. Instead of opting for a dental bridge, give yourself something more secure and long lasting like a dental crown with a dental implant. Another type of dental implants we can provide at our Alpharetta dental office are dental implant supported dental bridges. This is ideal for patients who are missing 3 or 4 teeth in the same section. The implant-supported dental bridge requires two dental implants. The dental implants will act as the anchors that hold the bridge together. The dental bridge will be 3 or 4 teeth in a row with the two ends attached to the dental implants. Aside from not being able to floss between the middle teeth, your dental bridge will look and feel just like natural teeth. One of the most popular types of dental implants at our Alpharetta dentist office is implant supported dentures. These are used when you have a large section or entire jaw of missing teeth. If you require partial dentures, we will only need to place a few dental implants to replace a section of missing teeth. If you have a jaw of missing teeth, we will need to place 6 to 8 dental implants to secure your dentures in place. When your dentures are secured to the dental implants, you don’t have to remove them for cleaning or ever worry about them falling out when you’re eating or talking again. They will feel more natural and give you a boost in self-confidence. This is another option for implant supported dentures but only require 4 dental implants per jaw to secure your dentures in place. Our patients prefer this method because not only is it cheaper, but it requires less time in surgery. If you want to replace an entire jaw of missing teeth, you only need 4 dental implants. Find out which type of dental implants in Alpharetta is right for your missing teeth. Our dentist is happy to meet with you for a consultation. Give us a call or fill out our online contact form today to schedule an appointment. A lot of our patients in Alpharetta hear the words “root canal” and wince with pain. They may have a past experience of being in excruciating pain that led them to receive a root canal. We don’t blame our patients for not wanting to receive a root canal in their life again. The key to never getting a root canal is taking care of your teeth. Find out what our patients at Old Milton Dental are doing to prevent needing a root canal in Alpharetta. Before we dive into ways to prevent a root canal, you might be wondering just what exactly a root canal is. A root canal is a dental procedure that removes infected pulp from a tooth so that the tooth doesn’t need to be extracted. Root canals are necessary when a tooth becomes infected. This is caused by physical damage to the tooth, cracks, breaks or even from cavities that were never treated. Prior to receiving a root canal, it’s normal for patients to experience a severe toothache. This is from the infection in their tooth. With root canal therapy, the infection is removed, the nerve dies and the tooth is saved from extraction. The tooth is usually covered with a dental crown following the procedure to provide it with the most protection possible. The first way to prevent needing a root canal is by simply brushing your teeth twice a day. When you brush your teeth, this removes plaque and bacteria from your mouth. Without proper brushing, the plaque and bacteria can cause cavities, gum disease as well as tooth decay. It’s important to make sure that you brush your teeth properly. If you’re not sure if you are, feel your teeth after you brush or scrape your fingernail against them. If they feel rough or plaque is coming off, you are not brushing properly. We recommend investing in a good electric toothbrush if you find getting your teeth clean enough is difficult. Another way to prevent needing a root canal is by flossing daily. We hear from patients all the time that flossing is a hassle and while we don’t disagree, it’s a hassle that is completely worth the health of your teeth. For best results, we recommend trying out different floss, flossers or even water flossers until you find the one that works best for you. Tape floss tends to be the most comfortable floss to use. If you decide to go with a flosser, make sure you recycle them after use since they are made of plastic. Water flossers are a good alternative to traditional flossing, however, they do not clean out between your teeth as well as string floss. Whichever method you decide to use, make sure you do it once per day, preferably at night. Flossing helps remove debris and plaque from between your teeth and is one of the top ways to prevent gum disease. Another common way to prevent needing a root canal is by visiting your dentist in Alpharetta regularly. Typically, we want to see you every 6 months for a comprehensive dental exam. 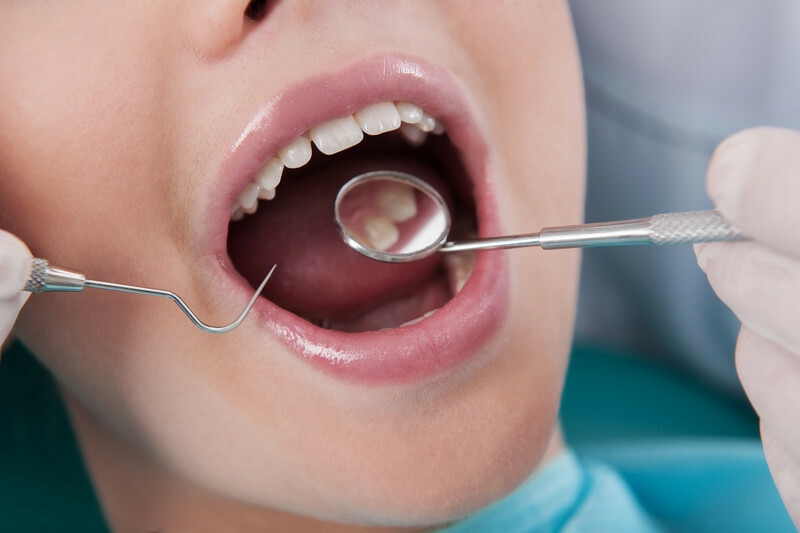 During this appointment, we check for cavities, decay and even physical damage that is occurring in your mouth. When we catch problems early, we can treat them before they progress into something more damaging. In addition to examining your mouth and taking x-rays, we also perform a professional cleaning in your mouth to remove plaque, tartar and surface stains. Visiting the dentist can help prevent your cavities or other dental problems from turning into a tooth infection that requires a root canal to treat. One thing many patients of ours in Alpharetta don’t consider is what they chew with their teeth. We recommend not chewing on any hard foods, candies or ice because it can physically damage your teeth by cracking or chipping a tooth. When you crack or chip a tooth, it’s possible that the tooth will become infected shortly afterward. Don’t chew on hard things and you can prevent needing a root canal. If your teeth are weak due to restorations or just in general, try to avoid crunchy foods like raw vegetables, chips or even apples because they can easily crack your teeth. Although this is annoying, be extra careful when you have weak teeth. This preventable action can actually save your teeth from significant damage like cracks in your teeth. When you grind or clench your teeth in your sleep, this can actually cause cracks or wear on your teeth. Without a night guard, after time, this might lead to an infection in your tooth. Wear a night guard at night if you’re prone to bruxism. Just like wearing a night guard at night to protect your teeth, we also recommend wearing a mouth guard when playing contact sports to protect your teeth. When you wear a mouth guard, this can prevent injuries to the tooth which usually leads to needing a root canal. Another way to prevent needing a root canal is by eating mindfully. Stay away from sugary and acidic drinks as these can cause cavities and dental decay. Cavities and decay can lead to tooth infections which will require a root canal if they go untreated. The last way you can prevent needing a root canal is by visiting our Alpharetta dentist at the first sign of trouble. If you feel any changes in your teeth as far as pain or appearance go, be sure to make an appointment at our Alpharetta dental office to receive treatment for your tooth as soon as possible. If you are due for a dental exam or want to have your teeth checked out so that you can prevent needing a root canal, visit our online form or give us a call today to schedule your dental appointment in Alpharetta. If you’re in need of dental crowns in the Alpharetta area, there are a few things you could benefit from knowing about them. Dental crowns are a dental treatment that can transform your smile to look better and be healthier. Our Alpharetta dentists are here to help you achieve a healthier smile through our different restorative dental treatments. Whether you just received a root canal or you need a bit of restorative work, a dental crown might be the right dental treatment for you. Learn more about dental crowns from Old Milton Dental in Alpharetta, GA. If you weren’t aware, dental crowns can be used for both aesthetic and restorative reasons. If you’re considering dental crowns to make your smile look better, it can solve a variety of problems. For example, if you have cracked, chipped or worn teeth, dental crowns can be placed over your teeth to restore them back to their proper shape. You don’t have to have your teeth pulled and replaced to replenish their appearance. Dental crowns are great for giving patients a beautiful smile. They are long lasting and do not stain. Your dentist can also give you teeth with a new shape when you opt for dental crowns. This means that if your teeth are unsymmetrical or perhaps you have a gummy smile, these aesthetic problems can be solved with dental crowns. Talk to your dentist to find out if dental crowns are the right solution to give you a more beautiful smile. Now that you know that dental crowns can give you a prettier smile, you should know that they are primarily used for restorative reasons. It’s common for patients to receive dental crowns to cover teeth that have large fillings in them. This helps protect the tooth from bacteria and further damage. In addition, dental crowns are used in patients who have just received a root canal. The crown protects the tooth from harm and will prevent patients from extractions. If your teeth aren’t in good health, a dental crown might save them. If you have a single missing tooth, a dental crown can actually be used to replace it. Before the dental crown is placed, your Alpharetta dentist will need to surgically insert a dental implant. Dental implants have a few requirements before they are placed. Patients will need to have sufficient bone mass in their jaw, not be a smoker, be free of gum disease and not have certain medical conditions that can prohibit the healing process. Once our dentist has decided dental implants are right for you, he will surgically insert a dental implant into your jaw. This will require several months of healing before your dental crown is placed. Once your jaw is healed, our dentist will take an impression of a mouth to create the dental crown. Once the dental crown is ready, he will connect the dental crown to the dental implant. Once it’s placed, it is there permanently and your missing tooth is replaced! Whether your teeth need to be restored or replaced, dental crowns can help. At Old Milton Dental, we typically provide our patients with porcelain crowns, however, there are several different crowns out there to choose from. We use porcelain crowns because they are strong and they are natural looking. Your dental crown will look just like your natural teeth so nobody will even know it’s a fake tooth. There are different dental crowns out there and if we feel that our patients may need a stronger or different crown, we can request for a different material at the lab. Some of the other dental crown options out there include porcelain-fused to metal dental crowns. These are crowns that look like porcelain crowns, however, the metal structure makes them more durable and then dentist has to remove more of the tooth to place them. There are also gold alloys dental crowns. These crowns use a combination of copper, gold, and other metals, are very strong and not harm the underlying tooth. They are biocompatible with your gum tissue. The last type of dental crown is base metal alloys dental crowns. These are incredibly strong and resistant to corrosion. Your dentist will only need to remove a small amount of tooth to place these. Your dental insurance company may help pay for your dental crown, however, most patients tend to pay for these restorative dental treatments out of pocket. Patients can expect to pay anywhere from $600 to $2,000 per crown depending on the dentist. Don’t let the price prevent you from seeking the treatment you need, we offer a variety of payment plan options at our dental office so patients can receive the treatments they need for a healthy mouth. When you look at the price of dental crowns, remember that dental crowns can last you for the rest of your life with proper care. This means that if you grind or clench your teeth at night, you wear a night guard. Patients are also required to brush and floss their teeth to keep up their dental hygiene. Gum disease may cause your crown to fail. It’s important to maintain good dental hygiene so that your crown can last longer. Lastly, patients should try to avoid any physical damage to their crown. This means wearing a mouth guard when necessary and not using their teeth as scissors. The last bit of information you should know about dental crowns in Alpharetta is that they can be placed the same day as your procedure thanks to our same day crown machine, CEREC. Our dentist can take digital impressions of your teeth in our office and have our CEREC create your crown in the office while you’re here. This means you can have a root canal and have your crown placed after your procedure. This prevents you from wearing an uncomfortable temporary crown and making several trips to our dental office to complete your procedure. If you’re in need of a dental crown, it’s time to give Old Milton Dental a call to schedule an appointment. Our dentist is here to discuss your options and recommend the best dental crown for you. Many of our patients in Alpharetta are aware we offer dental implants as a solution for missing teeth, but they typically don’t know too much about them except that they have heard that they’re expensive. Dental implants offer a lot of benefits to your oral health, confidence, and comfort. Discover how Old Milton Dental can restore your smile with dental implants in Alpharetta. Learn about the 7 things you should know about dental implants. The first thing you should know about dental implants is their success rate. Many patients are hesitant to go for a dental implants procedure because they are worried the implants will fail and they will have wasted their money. You don’t need to worry about your implants failing. A proper dental implants specialist will not give you the implants surgery if they think there is a high chance your implants will fail. The current success rate is around 95%. Patients who do not have enough bone mass, have gum disease, or a certain condition are typically not candidates for the dental implants surgery. Our Alpharetta dentist won’t give the surgery if they are not up to the standards. This will help save you from money, time and disappointment. When it comes to replacing your teeth, nothing looks or feels as natural as dental implants. This is because dental implants are customized to look and feel just like your natural teeth. The dental implant itself is surgically inserted into your jaw to replace your missing tooth root. This gives you a secure feeling when biting into food or when talking. This mimics the natural feeling that comes with a real tooth. After a while, you won’t even remember that you have a dental implant because it feels so natural. As for the restoration, whether you receive a dental bridge, crown or dentures, our dentist ensures that each tooth is perfectly crafted to match your smile. You won’t ever have to worry that your teeth look fake. With a missing tooth, it can be difficult to eat all of the different foods that you love. Among these include anything you want to bite into if you have a missing tooth in the front like with apples or meat on bones. In addition, if you have partial or full dentures, this can make you feel like you need to be extra careful when biting into something or chewing because you’re worried they will fall out. With dental implants, you don’t need to worry about eating being a difficult task. Since your restoration is attached to your dental implants which are secured to your jawbone, your fake teeth aren’t going anywhere. This not only makes eating easier, but it also allows you to eat without worrying or thinking too much. When a tooth falls out or it’s pulled, your tooth root is no longer in your mouth. This can lead to an array of different dental problems like teeth shifted over, and loss of bone mass which can prematurely age your face. Dental implants replace these tooth roots when the titanium screw is inserted into your jaw. From there, your teeth won’t feel the need to shift and your bone mass won’t go away. Replacing your tooth roots is one of the best ways to keep your mouth healthy. Having one missing tooth is one problem already, you don’t want to end up with more missing teeth, do you? If you’re looking for the best solution to avoid losing another tooth, dental implants are a good solution. When you opt for dental implants in Alpharetta, you can expect your healthy teeth to be protected by the dental implants. This is because when you receive a dental bridge, the two teeth that are going to be used as anchors need to be prepared. This involves removing part of the top layer of the teeth so that the bridge can be placed over it. When you opt for a dental implant instead, your dentist doesn’t need to alter any of your teeth in order to place it. When you receive a dental bridge with your dental implants, this bridge is attached to implants instead of teeth. Whether you have several missing teeth, just one or a whole jaw, dental implants can help you. With one dental implant, you can replace a single tooth using a dental crown. Dental crowns are made of tooth-colored porcelain and can actually last you the rest of your life they are so durable. Our Alpharetta dentist can also provide you with a dental bridge attached to dental implants. This can help you replace a section of missing teeth using only 2 dental implants as the anchors. Lastly, we can permanently attach dentures to your mouth by using just 4 dental implants per jaw. This is a more cost-effective method that helps you restore all of your teeth at once. The last thing you should know about dental implants is that they help you maintain bone mass in your jaw. If you don’t think this is important, you should learn more. The bone mass in your jaw is what holds the tooth roots in place. With one missing tooth, it’s possible that the missing bone mass is enough to cause other teeth to fall out. In addition, bone mass in your jaw helps your face maintain a youthful shape. When the bone mass is missing, your face will begin to sag or droop, causing you to look older. Not that you know more about dental implants, you might think it’s a good time to start thinking about replacing your missing teeth. If you’re interested in dental implants from Old Milton Dental, get in touch with our dentist and schedule a consultation today. We can be reached via phone or our online contact form. Teenagers already have a rough life. Going through body changes, first dates, learning how to drive, applying to college, AP classes and all the drama with their friends, throw in some metal braces and their life gets even more complicated. Fortunately, you can give your teen some relief when it comes to orthodontic treatments. If you’re looking into the different orthodontic options out there to straighten your teen’s teeth, it’s time to learn more about Invisalign. Invisalign is perfect for teens with all of the benefits. Learn more about Invisalign in Alpharetta from Old Milton Dental. When it comes to orthodontic treatments, there’s nothing worse than taking a look in the mirror to see a mouth full of metal. With so much focus on a teen’s self-image these days, it’s no wonder teens want to put off their orthodontic treatment. Fortunately, with Invisalign clear aligners, they are virtually invisible. Your teen can receive a complete orthodontic treatment without any of their friends know. They can continue being their outgoing self without feeling held back by the appearance of their teeth. They don’t have to worry about their teen years having bad pictures when they look back when they’re older. If you’re looking for a discreet treatment, Invisalign is perfect for teens. Since Invisalign treatment is basically invisible, your teen doesn’t have to suffer from the embarrassment of metal braces. Invisalign treatment is not noticeable. Your teen won’t have to listen to hurtful comments from other teens who think it’s okay to make fun of others with braces. Because your teen won’t feel embarrassed by their smile, you can expect their self-confidence to boost! They won’t hide their smile or avoid taking pictures or being themselves because their braces are hidden! Invisalign is perfect for teens because it saves them from the embarrassment of metal braces. If you’re worried that Invisalign doesn’t work as well as braces, you’re wrong. Invisalign clear aligners from your Alpharetta dentist are actually just as effective as metal braces. They are a series of clear aligners used to gradually move your teen’s teeth into their ideal position. As long as your teen is wearing them for at least 22 hours per day, you don’t have to worry about them not being as effective. Not all teens are good candidates for Invisalign though. Your dentist will let you know if Invisalign is the right option for your teen’s smile during their consultation. In most cases, Invisalign can only treat mild to moderate problems. If your teen is in band or in a contact sport, Invisalign is the most ideal option for them to continue pursuing their passions and hobbies without the damper of braces. When it comes to playing wind instruments, having metal braces can make this very uncomfortable. With the metal braces already brushing against the lips and cheeks, blowing into an instrument can make this even worse. With contact sports, if someone gently touches your cheek or mouth when you have metal braces, you can expect to cut yourself on them. With Invisalign, teens don’t have to worry about cutting themselves or feeling uncomfortable when playing instruments or sports. They won’t have to endure painful cuts on their mouths and lips every time they play. One of the top reasons a teen wants to opt for Invisalign over metal braces is because it allows them to eat whatever they want. With metal braces, you have to give up a lot of food! This includes nuts, chewy candies, gum, hard bread, apples and so much more. This can be annoying to live with, especially if you love popcorn! With Invisalign, you remove the aligners to enjoy your food and snacks. This makes teens more happy with their treatment because they can continue eating their favorite foods! A lot of parents try to avoid Invisalign treatment in Alpharetta because they believe it costs more than traditional braces. This is false. Invisalign actually costs about the same! If you have dental insurance, they will most likely help you pay for your teen’s treatment. When it comes to cost, Invisalign might be a small amount more, but it offers so many more benefits and a more enjoyable treatment experience. Many parents aren’t convinced that Invisalign is a reliable treatment because it can be removed. We should tell you, if your teen is responsible, there won’t be any issues. 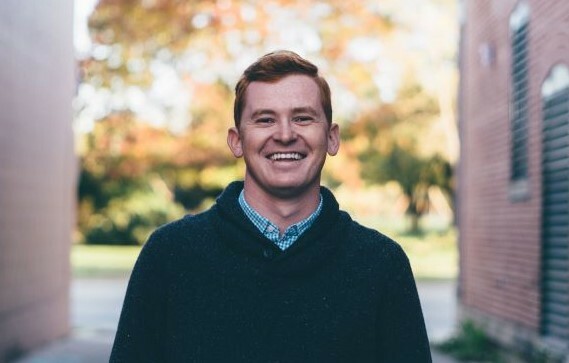 The treatment is reliable as long as the patient follows their dentist’s instructions to wear the aligners for at least 22 hours per day and switching the aligners to new ones as often as they are told. With proper care and following instructions, Invisalign may correct your teen’s teeth even faster than with metal braces. It’s pretty normal to experience pain and discomfort during an orthodontic treatment because your teeth are moving. Although with metal braces, your teen can expect to experience a bit more pain and discomfort. First, the metal brackets and wires can rub on the cheeks, gums, and lips, causing sores and cuts that can be quite painful. Next, every 6 weeks your teen must visit the orthodontist where they tighten the braces. This can leave the mouth sore for days at a time. 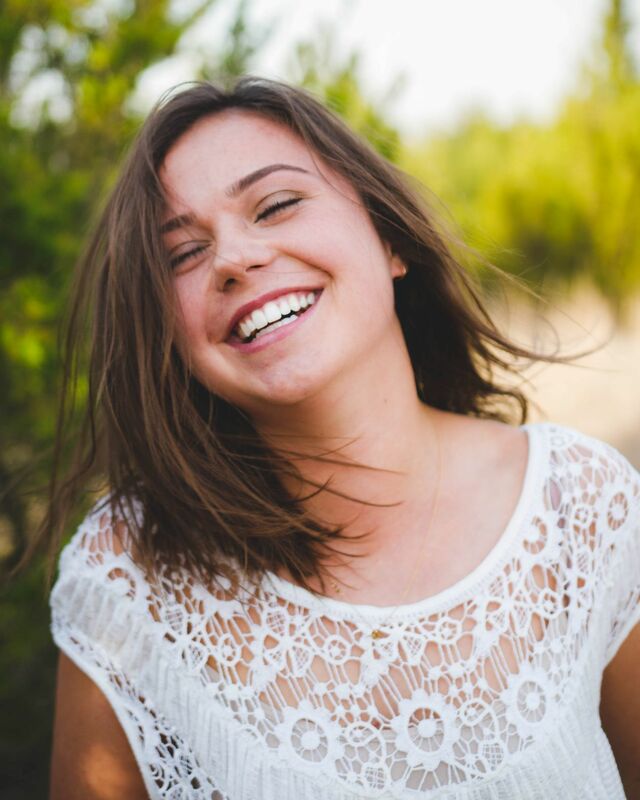 On the other hand, with Invisalign, your teen doesn’t have to deal with painful brackets. The clear aligners are made of a comfortable plastic that you won’t even notice. You change the aligners every 2 weeks to gradually move your teeth instead of all at once. This leaves teeth sore for less amount of time than with braces. If you care about comfort, Invisalign is perfect for teens. Now that you know more about Invisalign, you can probably see why it’s perfect for teens. 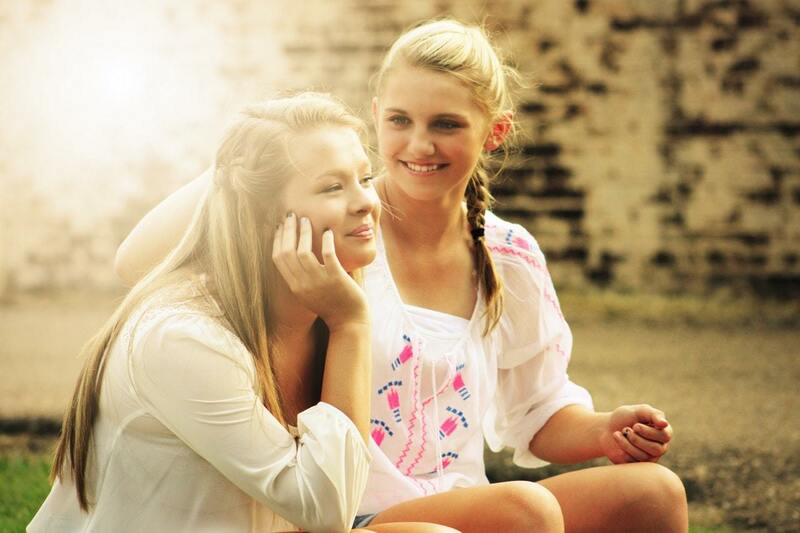 Give our Alpharetta dental office a call to schedule a consultation for your teenager today. You can also fill out our online form and we will get back to you. Although less and fewer people in the US are smoking cigarettes, there are still plenty of smokers out there. In addition, vaping or smoking e-cigarettes has been rising in popularity due to the stigma that it is healthier than smoking cigarettes. Unfortunately, both smoking cigarettes, as well as vaping, is not healthy for your oral health, especially your teeth. Smoking is bad for your teeth and overall oral health. Learn more about the effects of smoking on your oral health from Old Milton Dental in Alpharetta. When you smoke, it can take quite the toll on your oral health as well as your teeth. Aside from hurting your dental health, smoking can also lead to lung cancer, cardiopulmonary problems and make asthma symptoms worse and increase coughing fits. Smoking can also affect your blood pressure, increase your risk of heart attacks, strokes and cause chronic lung problems like emphysema. On the other hand, smoking can lead to some terrible oral health side effects like bad breath, discolor your teeth, increase your risk of developing oral cancer, cause gum disease, and increase the time it takes for your body to heal wounds or after surgery. Cigarettes contain harmful substances like tar, nicotine, and others that can do a lot of damage to your teeth. When you smoke, your mouth and teeth are the first parts of your body that come into contact with the smoke and chemicals which is why it’s no wonder smoking causes so many oral health problems. When you smoke, the chemicals go directly onto your teeth. Unless you brush your teeth directly after smoking, these chemicals will cause plaque, yellow stains and weaken your enamel. In addition, your weakened enamel will protect your teeth less from the harmful bacteria that smoking also produces. This means your teeth are more likely to develop cavities and gum disease. Gum disease can lead to rotting teeth that eventually fall out. When you smoke, it decreases the amount of oxygen in your body. As a result, your body heals a lot slower when you’re a smoker. This is one of the top reasons doctors are hesitant to perform surgery on smokers. When it comes time to heal, your body will heal at a much slower rate. This can increase your chance of infection. If you have broken bones that need healing, smoking also affects the rate at which these heal as well. If you are going to undergo surgery, we highly recommend that you quit smoking a month before your surgery. Just a few days after quitting, your oxygen levels rise significantly. 4 weeks after quitting, your inflammatory cell response reduces. In addition, if you’re a smoker, your risk of having a heart attack, going into cardiac arrest and having a stroke is increased significantly during surgery. In other words, if you smoke and undergo surgery, it’s more likely you can have life-threatening problems. Now that you know how cigarette smoking affects your dental health, it’s time to learn how vaping affects your dental health. Vaping is trending now more than ever when it comes to alternatives to smoking cigarettes. This is because people think it is a healthier alternative. Studies have shown that vaping is healthier for your teeth, but just as harmful to your overall health. For example, vaping has not shown to give patients bad breath, plaque build-up or tooth discoloration. This should not encourage you to want to vape. Studies have found that if you smoke the vaporizers with nicotine in them, you are still going to experience the side effects that come with smoking nicotine such as a decreased blood flow. Therefore, you will still be at an increased risk for problems during surgery and your body will take longer to heal wounds. This decrease in blood flow can prevent your mouth from fighting off harmful bacteria. Therefore, you are more prone to infections in your gums and teeth. No kind of smoking is good for your teeth! Although vaping does not stain your teeth, the vapors in the cartridges release different inflammatory proteins that seep into the gum tissue. This can lead to different oral diseases. In addition, some of the different flavorings found in vaporizers can lead to cellular damage throughout your mouth. Vaping can also suppress your immune system. Studies have found that vaporizer users can still have respiratory problems and issues in the nasal passages. If you think that vaping is a healthy alternative to smoking cigarettes, think again. If you’re a smoker, of course, our first piece of advice is to quit smoking. Unfortunately, not all patients can do this, nor is it an easy process. In the meantime, we recommend that you do everything in your power to maintain your dental health. This means you need to brush more often than non-smokers so that you can remove the harmful chemicals from your teeth. This will help prevent decay, cavities and gum disease. We can even recommend some toothpaste and mouthwashes that are designed specifically for smokers. They might fight off bad breath and harmful chemicals better than traditional products. We also recommend that you visit us every 6 months for your dental checkups and cleanings. Our dentist will check for cavities, decay, signs of gum disease and check for oral cancer. Prevention is the best way to keep your mouth healthy! If you are a smoker, it’s important for you to visit our dental office in Alpharetta regularly so that we can ensure your smile stays healthy. If you can’t quit, make sure you are taking as good care of your oral health as possible. Smoking is bad for your oral health and we’re here to help you as well as we can. Give Old Milton Dental a call or fill out our online form today to schedule your next dental appointment.